Dancers that have been on pointe for approximately two years and have met technical and artistic requirements are considered for placement in our Senior Company. 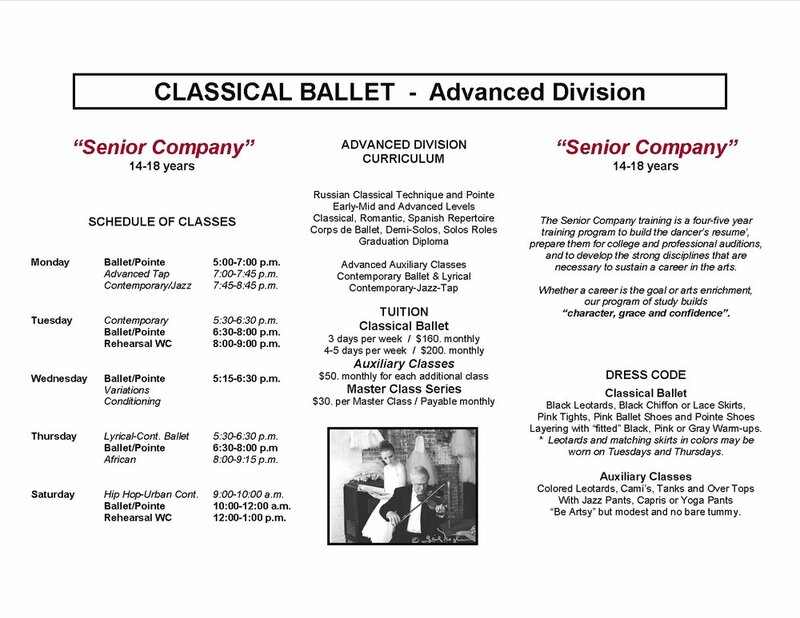 Dancers in this program take ballet 4-5 days in addition to their auxiliary classes. There are technical and artistic requirements to be in Senior Company and dancers audition in the fall for placement in the company. Dancers in Company participate in a full season. Contemporary Festival, Nutcracker, Classical Festival, Cinderella, Kaleidoscope, and many performances in the community!